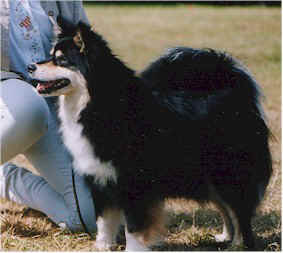 The Finish Lapphund is a medium sized breed of the spitz type, it was originally bred to herd elk and reindeer and still does to this day in its native Finland. The breed has close ties with man, and is very much a lover of people, having a fabulous temperament which makes it an ideal pet for an active family. It must be noted that the breed is active and intelligent and can become bored easily  so requires reasonable levels of exercise and plenty of mental stimulation. They are bright active dogs and love doing agility/Working Trials or obedience.